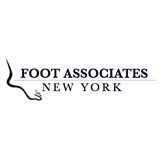 Foot Associates of New York (New York) - Book Appointment Online! We have combined our collective knowledge, experience, special training, and resources to provide our patients with the most current and available treatments for their foot related problems. We practice a team approach to health care. We regularly communicate and consult with each other and our colleagues in related fields such as internal medicine, endocrinology, orthopaedics, vascular surgery, and rheumatology. We strive to provide an efficient professional environment yet maintain a gentle and nurturing approach to the care of our patients. We demand of ourselves and our staff to be courteous and available to answer all questions related to any aspect of care. We will educate our patients regarding the conditions they seek treatment for and discuss all available options. Fantastic! Took out a piece of glass from my foot and I feel like a new person! Thank you!